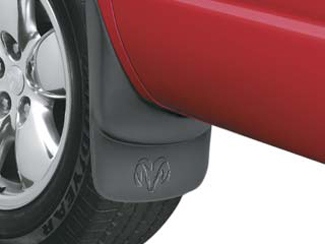 Deluxe Molded Splash Guards provide excellent lower body protection and accent the vehicle styling. Made of a composite of TPO plastic and TPR rubber to be rigid yet forgivable and paintable. They are molded to the contours of the vehicle for a custom fit and feature vehicle logo (depending on vehicle application). 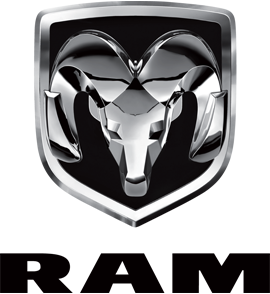 Sold in sets of two (unless otherwise indicated).Additional Details: Black, rear, Ram`s Head logo, not for trucks equipped with Fender Flares or with Dual Rear Wheels.